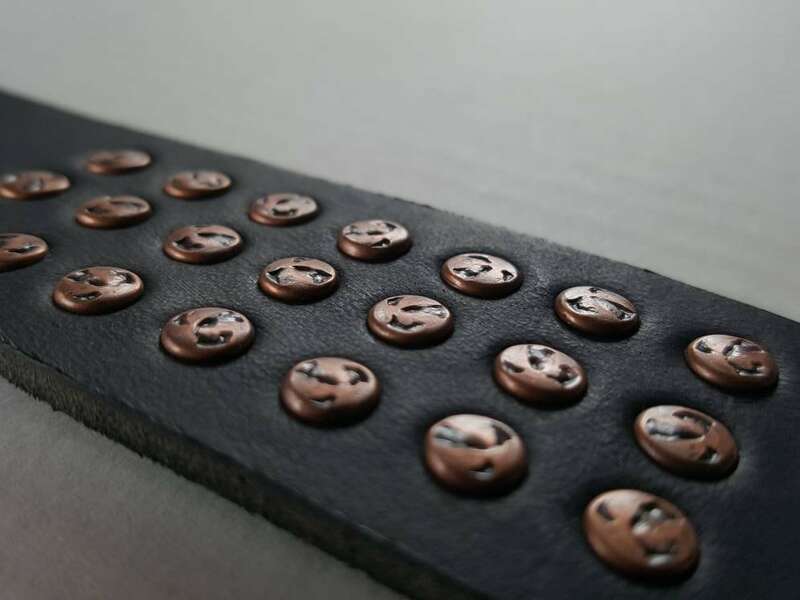 Unisex brown, black, fawn, distressed or mahogany leather bracelet. 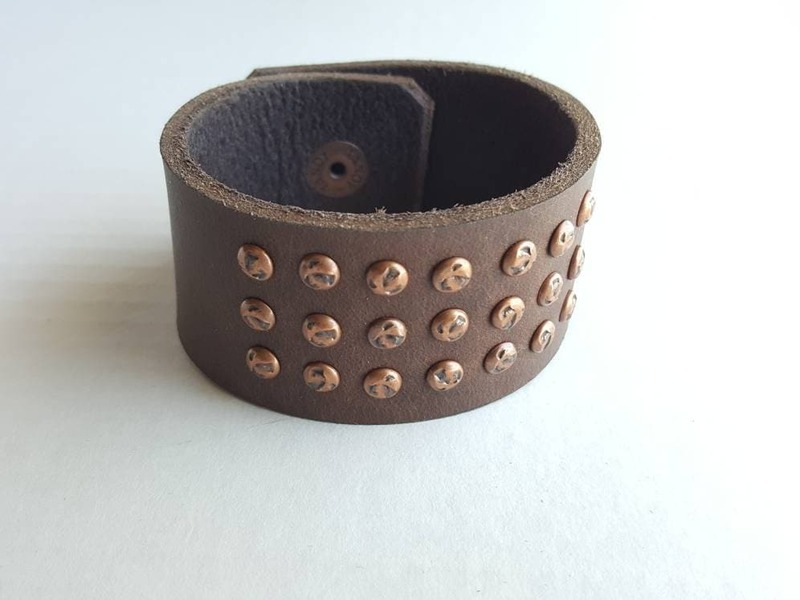 Wrist cuff (Bracelet) with copper rivet inlay design fits your wrist size. Please send us your loose(comfortable)wrist size. 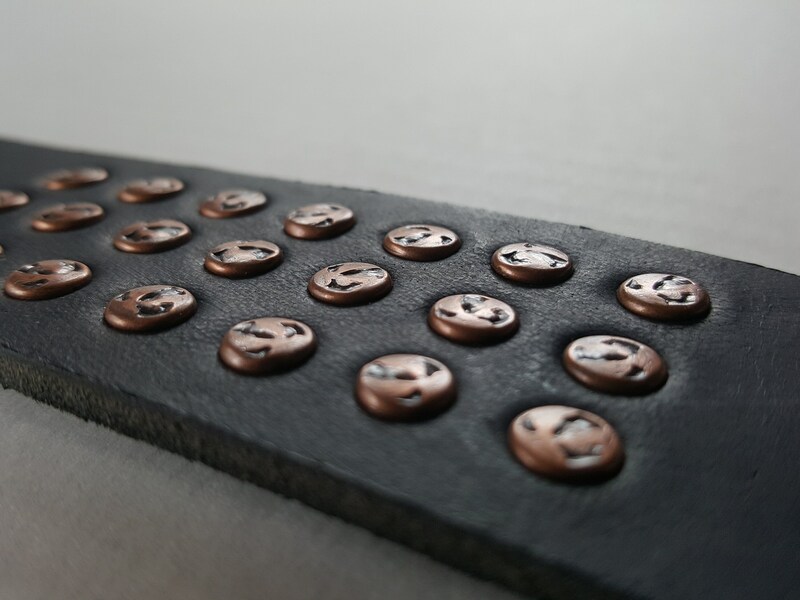 Copper rivets are smooth, won't catch or scratch. 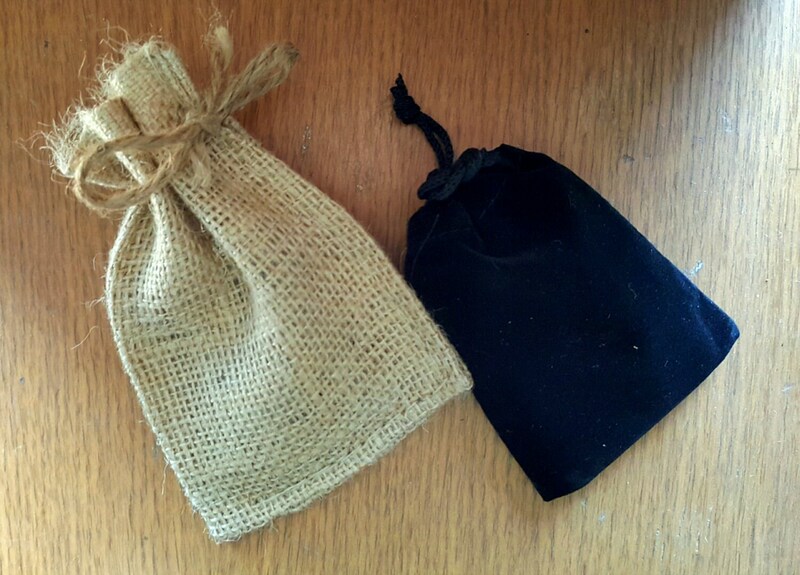 1-1/4" or 1-1/2" wide cuffs available. 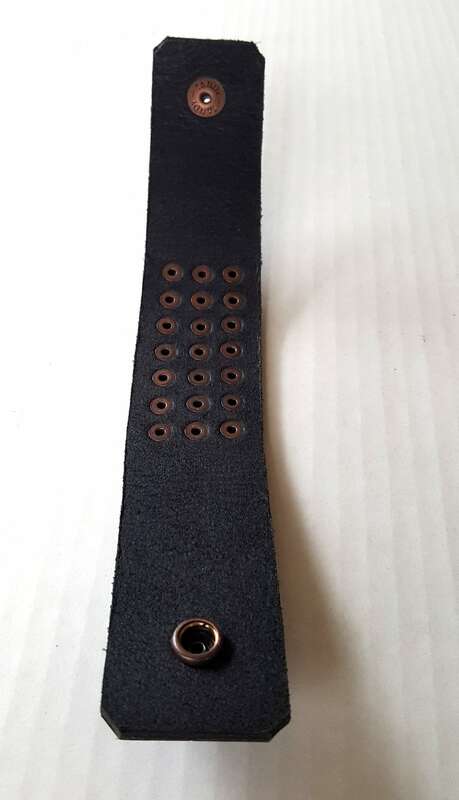 We put one snap on each cuff. 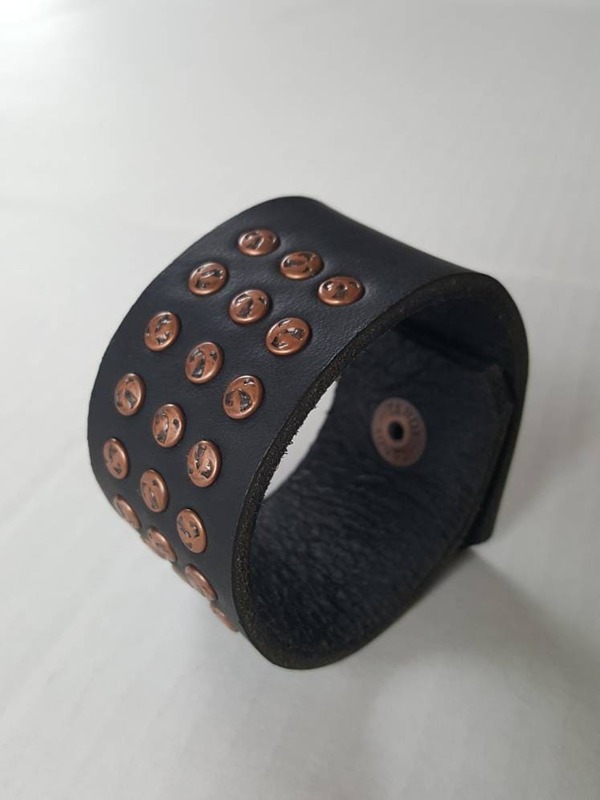 Canadian made black oiled buffalo leather wrist cuff bracelet with copper polka dot rivets.